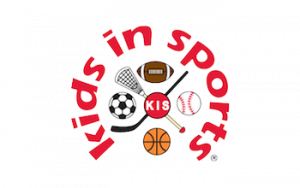 Kids In Sports was founded in 1999 in New York City by Michael Strutt and Kenneth Colon. Their passion for sports and coaching led them to design an educational sports franchise to teach children ages 12 months to 12 years the fundamentals of sports in a safe, fun, friendly, and supportive environment. Through learning the basic rules and skills of sports, children also learn sportsmanship, teamwork, respect, and communication – the essential building blocks for young athletes. Mike and Kenny know sports first-hand, having competed in collegiate sports and earning degrees in physical education and exercise physiology. Both have extensive experience teaching physical education and working as personal trainers and coaches. When they realized developing proper skills in younger children leads to a much greater chance for long-term success, they brought their expertise to Kids In Sports. Today, the children’s franchise is a thriving business operating out of a storefront location on New York’s Upper East Side, along with several satellite locations. 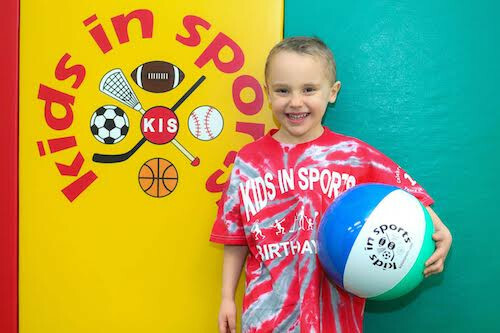 Kids In Sports is a specialized sports program for children ages 12 months to 12 years delivered across a range of activities including classes, camps and parties. We teach the fundamentals of baseball, basketball, flag football, floor hockey, lacrosse, soccer and volleyball through our multi-sport or sport specific classes. We believe in giving children a foundation in all traditional sports that will benefit them for life. Whether it is a 3 year old starting out, learning basic skills, or a fourth grader wanting to gain an edge in the increasingly competitive athletic arena, Kids In Sports delivers the environment for children to succeed. Kids In Sports classes are designed to offer a unified learning experience, engaging the child's mind as well as their body. Sports are a wonderful and valuable outlet for a child's energy. Kids In Sports provides a low coach-to-child ratio, usually one coach for every five children, ensuring that each child gets the personal coaching they deserve. Kids In Sports is now offering franchises to enable others with a passion for children, teaching and sports to establish a business that is rewarding and fun to own and operate. If you love sports and you love giving children the opportunity to engage in sports, contact us now to learn more about the Kids In Sports franchise opportunity.